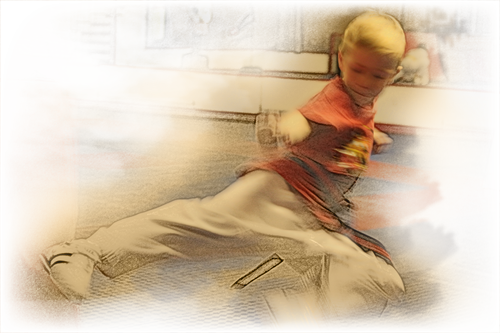 The Tang way of TaeKwonDo is based on Master Eldon's famous power kicking style. With over fourty years of experience in the arts Master Eldon 7th Dan w.t.f and former European champion would like you to join our School. Students train at Tang Academy for many different reasons. Not everyone wants to be like Bruce Lee. Many enjoy improving their flexibility and fitness, even if only on a personal level. Others like the discipline that is required, the control, concentration and focus over mind and body. For some it's the social benefits. Martial art offers one of the best forms of overall fitness. After training, you can obtain drinks and snacks from the canteen and take a break in the rest area where many parents have a chat over a coffee. Within the academy we have our own martial arts shop, so when you join the club you can get all the accessories you need, from books to videos, training suit, armour, kicking pads, track suits, training shoes etc. Tang Taekwondo Academy, 2 Kings Highway, Plumstead, SE18 2NL. The nearest stations are Woolwich and Welling. You can catch a 51 bus from just outisde these stations to Kings Highway, Plumstead. Our academy is just a minute's walk from the bus stop. If you prefer to drive instead, there's ample parking surrounding the academy.